Contains president's message, U.S. and international program information, grants lists, bibliography, financial statements, and list of board members and staff. 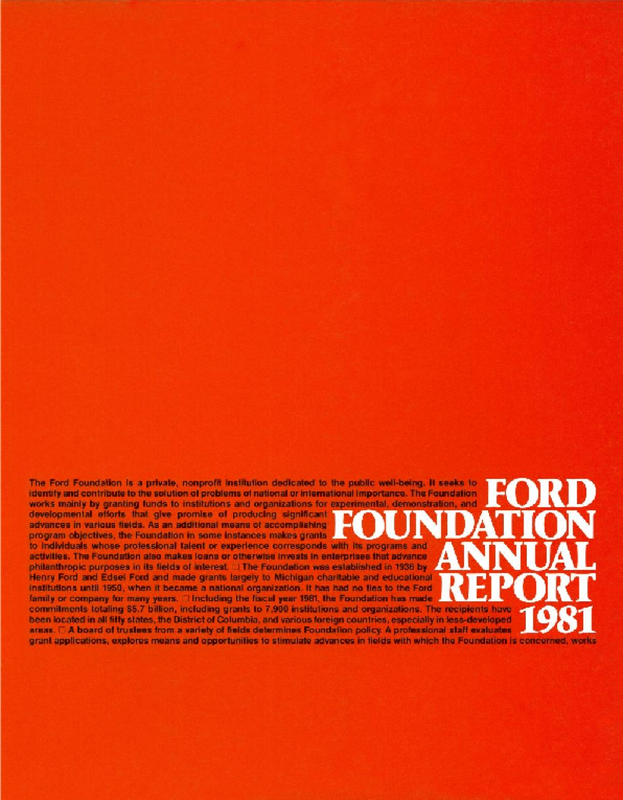 Copyright 1982 by Ford Foundation. All rights reserved.